Iceland is a magic place on earth, where the colors are more vivid and the earth more “alive” than anywhere else on planet. 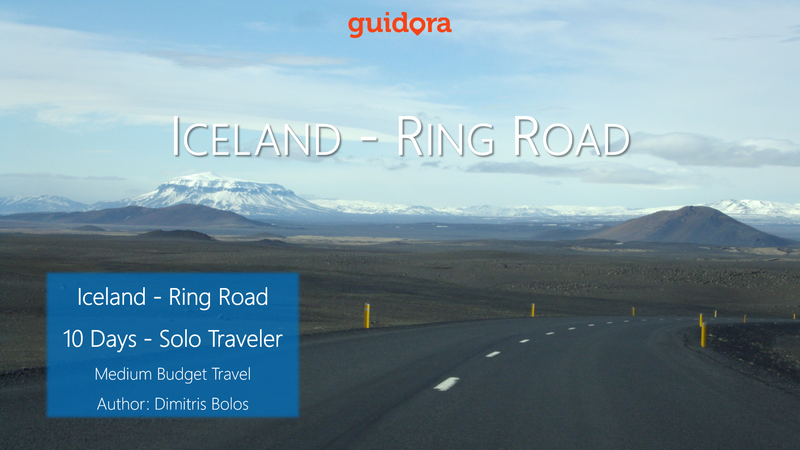 Most people make a road-trip to Iceland, so as to enjoy all the beauties that it has to offer. This detailed, 10 days travel itinerary has organized information on the “must-see” and “must-do” in Iceland. It will save you time from looking on the internet for this kind of information, it will eliminate your stress from planning this trip to Iceland and save you money thanks to the hard-to-find tips that it provides. More importantly, this travel itinerary is the perfect way to enjoy the best of Iceland in 10 days and will offer you a trip that will remain unforgettable for the rest of your life! Dimitris Bolos is 38 years old, lives in the wonderful city of Thessaloniki in Greece and is a travel agent, with more than 15 years of experience. So a real expert in travels! Dimitris used to travel a lot all around the earth but not any more.. His Devi (his dog) takes most of his time now!